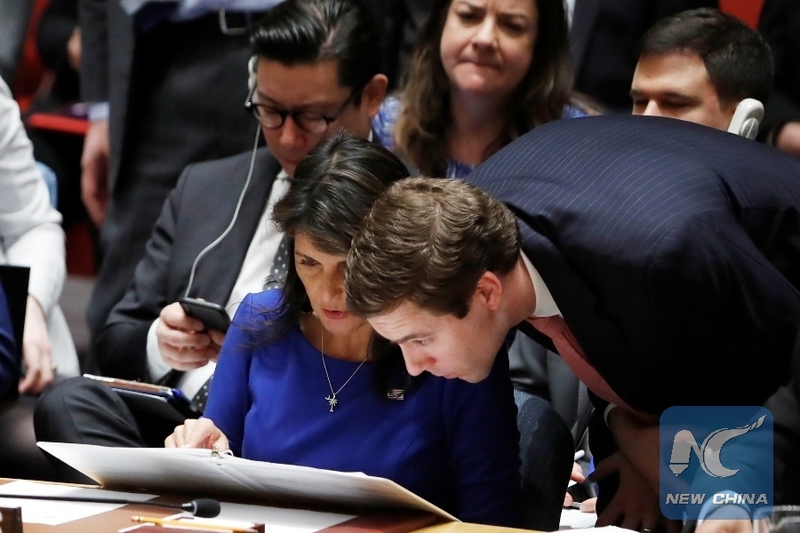 UNITED NATIONS, April 14 (Xinhua) -- A Russian-drafted resolution, which would have condemned the military strikes on Syria carried out by the United States, France and Britain, failed to be adopted by the Security Council. Three of the 15 members of the Security Council -- Russia, Bolivia and China -- voted in favor. Four countries -- Equatorial Guinea, Ethiopia, Kazakhstan, Peru -- abstained. The remaining eight members of the council voted against it. For adoption, a resolution requires at least nine votes in favor on the condition that none of the permanent members -- Britain, China, France, Russia, the United States -- votes against. The draft resolution contains only five paragraphs with three operative ones. It condemns "the aggression against the Syrian Arab Republic by the U.S. and its allies in violation of international law and the UN Charter." 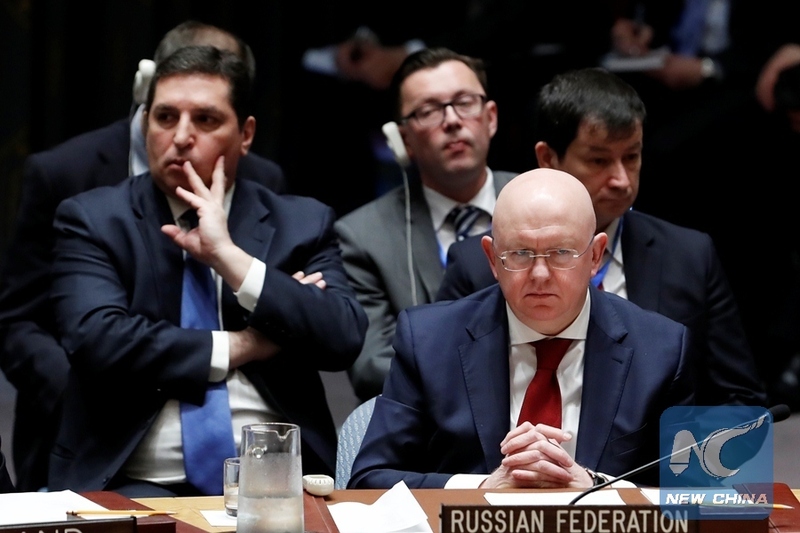 After the vote, Russian ambassador to the United Nations Vassily Nebenzia said: "Today is a sad day for the world, for the United Nations, and for its Charter, which was blatantly violated." He reiterated his country's demand that there be no further military action against Syria. 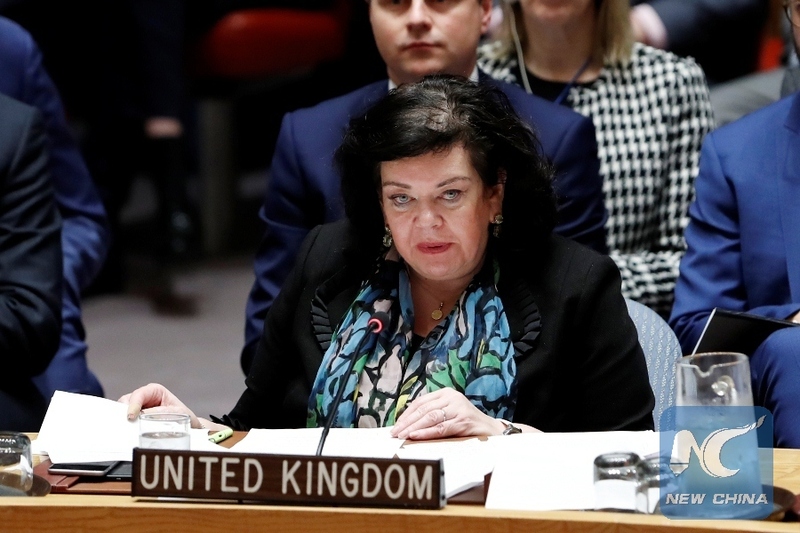 British ambassador Karen Pierce said after the vote that Friday's joint military action against Syria was carried out on the legal basis of humanitarian intervention, which is "wholly within the principles and purposes of the UN Charter." 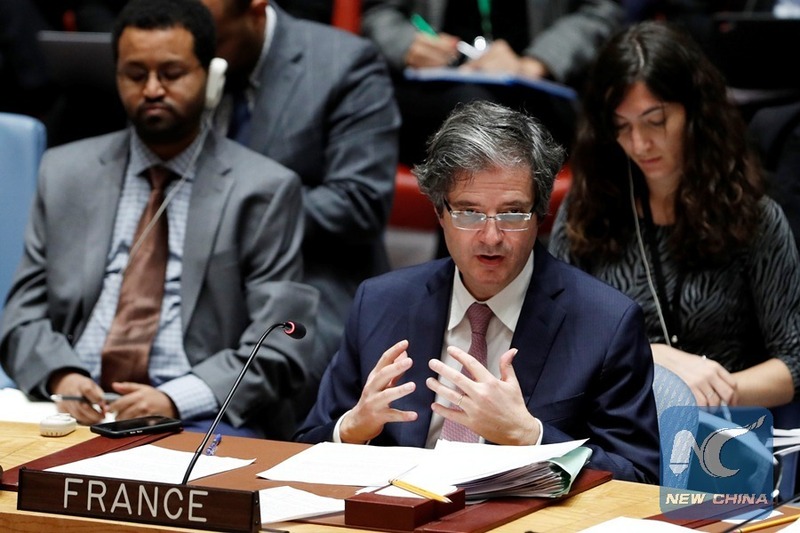 Explaining why his country abstained, Peruvian ambassador Gustavo Meza-Cuadra said the draft resolution did not adequately reflect the need to guarantee accountability for chemical weapons use in Syria and that it did not help restore unity of the Security Council. Ethiopian ambassador Tekeda Alemu, whose country also abstained, said the Russian draft carried no substantial significance as it would have been vetoed anyway. Swedish ambassador Olof Skoog said his country voted against the draft because its language is "imbalanced, not comprehensive, did not cover the entirety of our concerns related to the current situation." He reiterated his country's full support for the UN-led political process in Syria. The United States, France and Britain launched missile attacks in Syria on Friday following reports of alleged chemical weapons use in Douma near the capital city of Damascus on April 7.